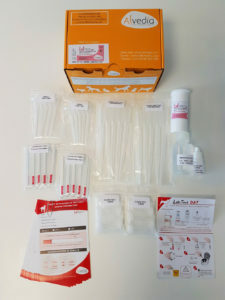 A Coombs Test or Direct Antiglobulin Test (DAT) is performed to detect the presence of antibodies against red blood cells. It is used in the diagnosis of Immune-Mediated Hemolytic Anemia (IMHA). IMHA is the most common cause of hemolytic anemia in dogs. The classical technology uses incubation of washed red blood cells suspension with antisera that causes agglutination. Our immuno-chromatographic technology will detect the presence of immunoglobulin (IgG & IgM) and/or C3 components binding to the RBC surface. 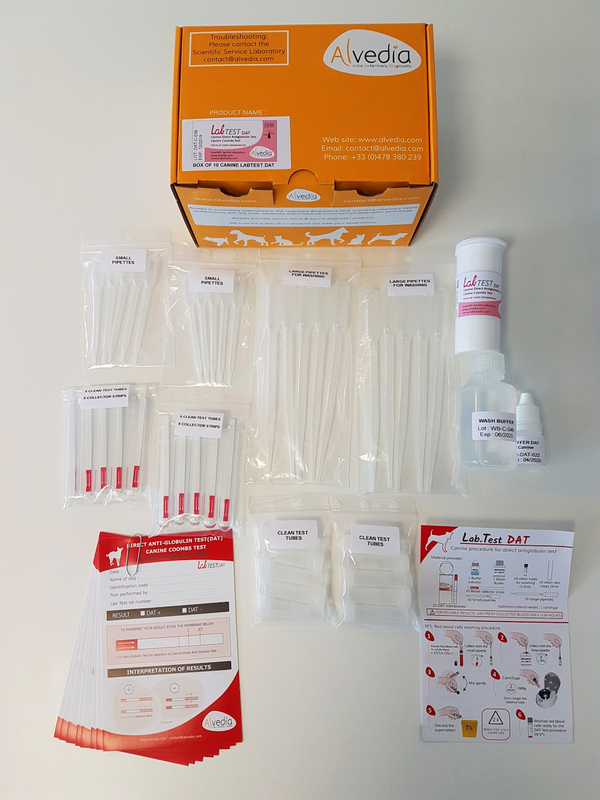 A positive result indicates an in vivo sensitization and can thus be used to indicate the presence of auto-immune antibodies. 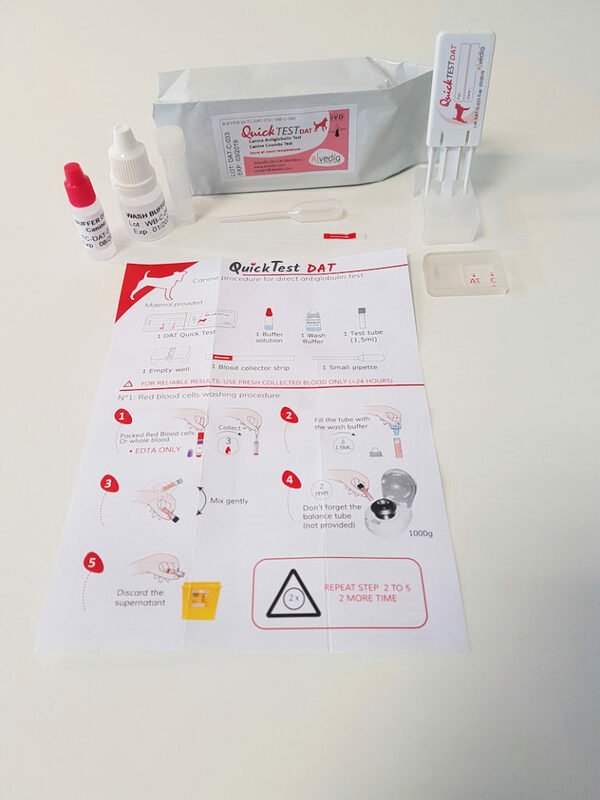 Our canine Direct Antiglobulin Test (DAT) aims to detect the presence of immunoglobulins and/or C3 components on the surface of patient’s red blood cells (RBCs). 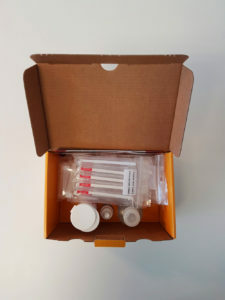 The LabTest version can be described as a « bulk packaging ». The client will get multiple tests in the same box but can use it per unit. The price is decreased but the flexibility remains the same as the individual Quick Test version.